"You will train her harder than any Amazon before her. Until she is better than even you." Warner Bros has debuted the third official trailer for DC's Wonder Woman movie, showing even more amazing footage from this very promising superhero movie. 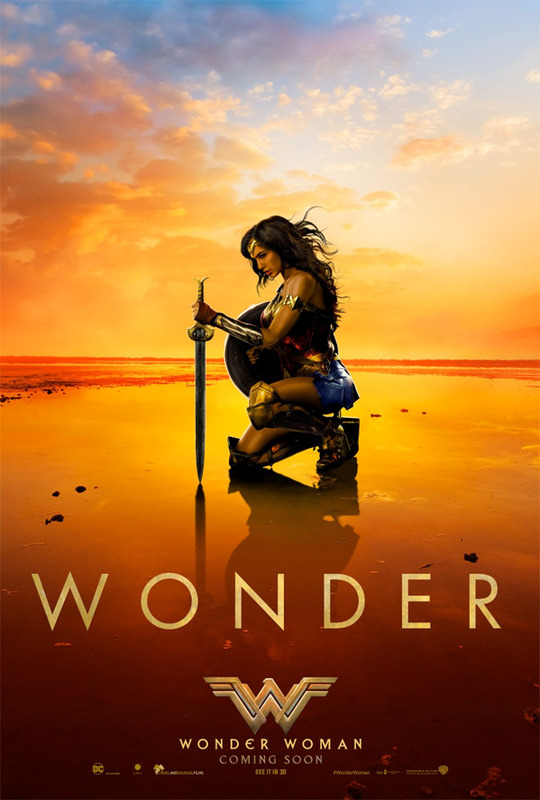 This solo spin-off movie in the DC Universe is set during World War I stars Gal Gadot (from Batman v Superman: Dawn of Justice) as the Amazonian princess-warrior Diana who becomes Wonder Woman. Patty Jenkins directs this action movie, also starring Chris Pine, Robin Wright, Connie Nielsen, David Thewlis, Elena Anaya, Lucy Davis, Danny Huston, Ewen Bremner, Samantha Jo and Saïd Taghmaoui. The trailers for this movie are getting better and better, and I'm more and more hopeful that this might actually be a great movie. Only time will tell. Don't miss this. You can still watch the first Comic-Con trailer for DC's Wonder Woman here, plus the second trailer here. The Amazonian princess-warrior Diana left her lush tropical island to dwell in our urban cityscapes of glass and steel. Tutored in the ways of the Greek warriors, and outfitted with incredible gifts the Goddess bestowed upon her people, she becomes Paradise Island's emissary to civilization. DC's Wonder Woman movie is directed by American filmmaker Patty Jenkins, of the film Monster previously, as well as a few episodes of "Entourage" and "The Killing". The screenplay is by Geoff Johns and Allan Heinberg, from a story by Allan Heinberg and Zack Snyder. The character is created by William M. Marston. Warner Bros will release Wonder Woman in theaters everywhere starting June 2nd this summer. Excited to see this movie?